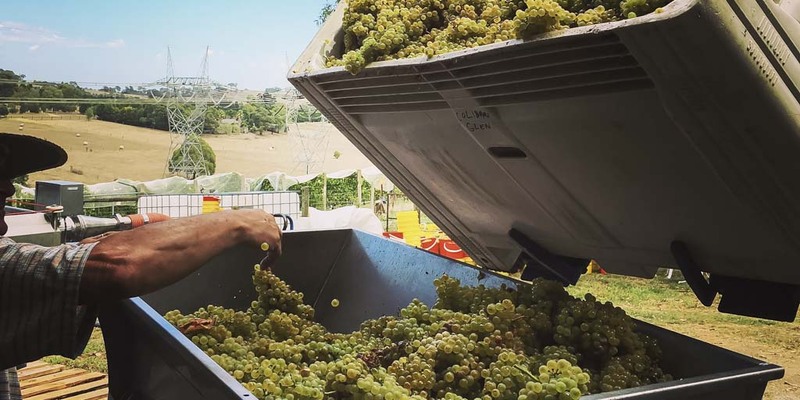 It was one of the strangest seasons we have experienced for growing wine grapes – a hot dry summer across Victoria meant that our Heathcote fruit arrived in the winery in late February, which is unprecendented. A tough season in Heathcote with the endless heat and no rain after Christmas. On our Kangaroo Ground estate we watched the fruit very closely, deciding to harvest on 2nd March just before a bout of Autumn heat was due to set in. Vintage 2017 was a fabuous crop with the hot weather meaning that disease was not a problem and with a strong canopy allowing the vines to hang on, we had the best crop for many years – nearly 13 tonnes of Pinot and Chardonnay. The Indian summer will mean that wine making will be a challenge over the next few weeks.